“Exporting goods, services and technology to the Chinese market” takes and in-depth look at the requirements and processes relevant for European SMEs looking to export their product into China. No matter if you plan to export goods, services or technology, as a first step you will always have to determine which restrictions apply in your industry and product group; this report will give you an idea of the intricacies of these regulations and where to look for further information. The chapter on goods, the most common type of product imported to China, also covers aspects like necessary licences and different types of quota and standards, while later sections outline fundamentals of sales and purchase contracts, foreign exchange control and different distribution channels and what they imply in terms of time and other resources necessary. 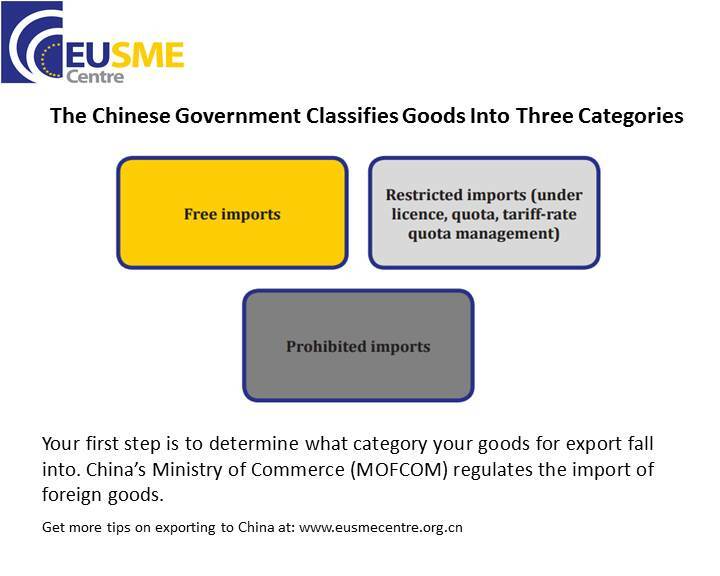 The Chinese government classifies goods into three categories: free imports, restricted imports and prohibited imports. Freely importable goods are the least regulated category of goods and, in most cases, can be imported into China without restriction. However, selected items require an automatic import licence which is granted to all companies who apply. The licence enables the Chinese government to monitor the imported amounts of certain products. For a sample list of goods that require this automatic licence, please see the appendix. The list is jointly updated by MOFCOM and The General Administration of Customs (GAC) on a regular basis. For the purposes of this report, ‘restricted imports’ refers to imports where the importer must apply for and obtain an import licence, a quota, a tariff-rate quota. Note: According to Chinese legislation, only goods under quantitative restriction by way of quotas and goods under restriction by way of necessary licences are considered ‘restricted’. Goods under tariff-rate quotas are not considered ‘restricted’. 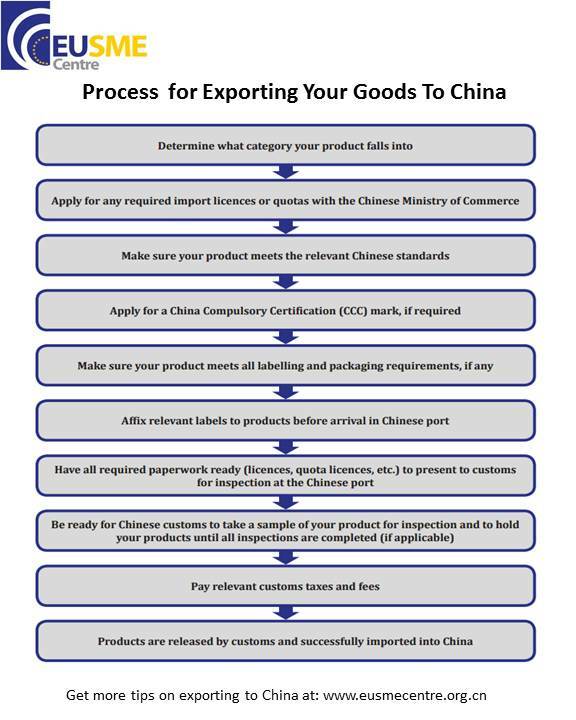 Some goods are prohibited from import into China for national security or health and environmental reasons. Under normal circumstances it is unlikely your good will be on this list. Prohibited imports include weapons, ammunition, explosives and illicit drugs. For a sample list of prohibited imports, please download the report to find it in the appendix. thnks for this helpful material.